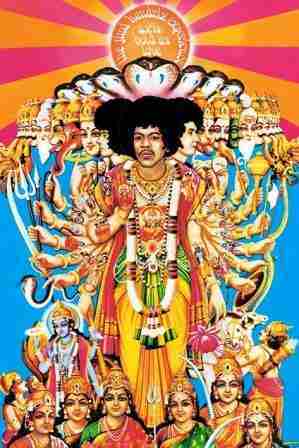 This poster has the artwork from the Jimi Hendrix album "Axis - Bold as Love". Measures 24" x 36". Officially licensed Jimi Hendrix merchandise. This classic poster would look great on your bedroom or dorm room wall.